Need to attend a wedding in June near Swaffham. I'm looking for a secure marina to leave our Nb for about 5 days and also need access to a hire car, so train station or good bus service would be great. Any ideas? Foxs March, although not very close. Various boatyards/marinas in Ely. Railway station within walking distance. How long is your boat? Where are you now? There is a substantial, lit pontoon mooring on the Relief Channel at Downham Market, same end of town as the station. I do not know how long you're allowed to stay there - I think it's on EA water. Trains from Downham to Swaffham are fairly frequent but you have to go up to Lynn and down again. Journey time is just over an hour. Are you sure trains still run to Swaffham? So much for relying on the internet! One web site shows a route between the two towns, another makes it clear that one has to get a train to Lynn and then a 'bus to Swaffham. Both the trains and the 'buses seem to be frequent though - every hour. Enterprise Car Hire will deliver and collect their cars to you, so you could get them to deliver and collect from the boatyard. Officially 48 hours but we've stayed a week in the past with no problem. Never seem to be many boats in the relief channel other than those who like to see how fast they can go! Floating pontoons, just chain on for security. Many thanks for helpful replies. If it's first half of June, there will be a space in Cathedral Marina in Ely. OK, I have told them I am away then and happy for my mooring to be sublet. Handy for the railway station, hire cars etc. I had a quick look at the website and it looks as though the boats are all cruisers. Ours is a 50ft Narrowboat. Is this ok. If so should I confirm with the marina? Wife's just told me that we need the berth from wed 29th May for a week, is this still OK? This sounds like quite a wedding! Those dates are fine with me. There are about 20 NBs there, alongside railway on north end of basin. I am 57' myself. Cheers for the pic, looks OK to me and we would like to take up your offer. Wedding is a PAIN but only 1 day. We'll be visiting a few people while we are in the area so back and forth a bit. [email protected] if you need to PM me. Thank you. 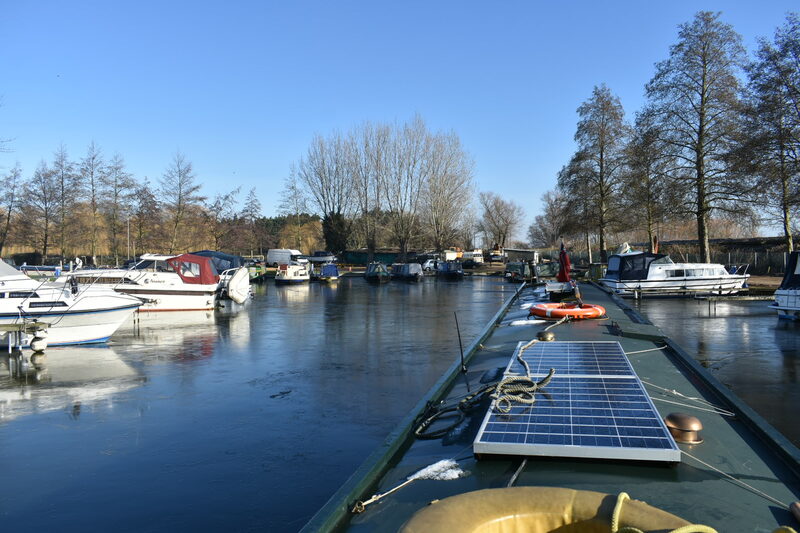 Please contact the marina to arrange a temporary mooring. Feel free to suggest you use my space.